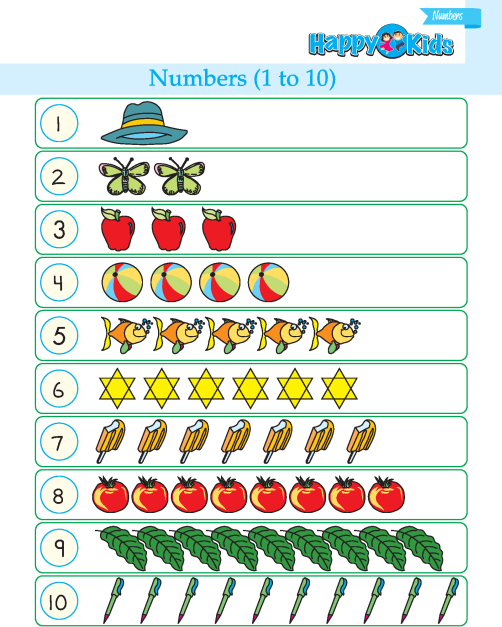 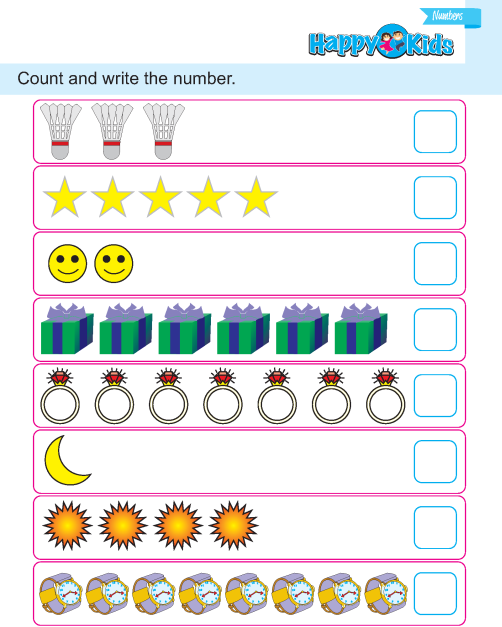 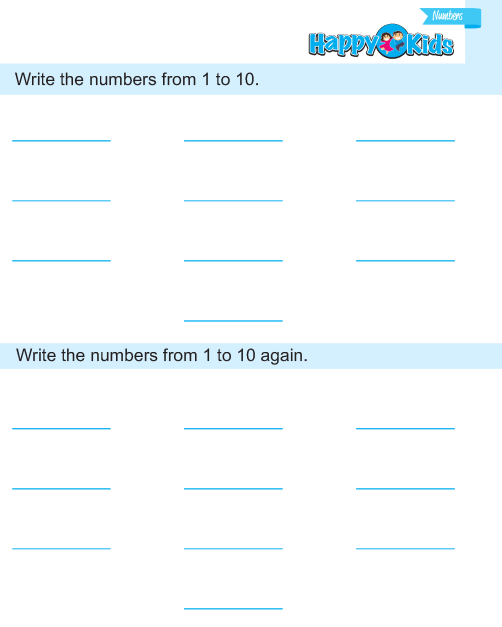 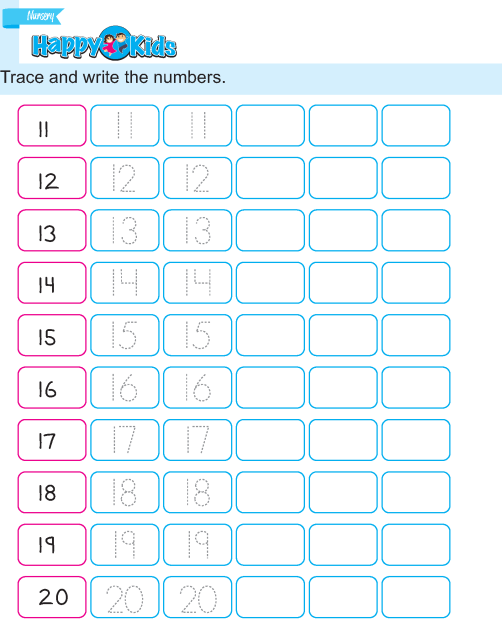 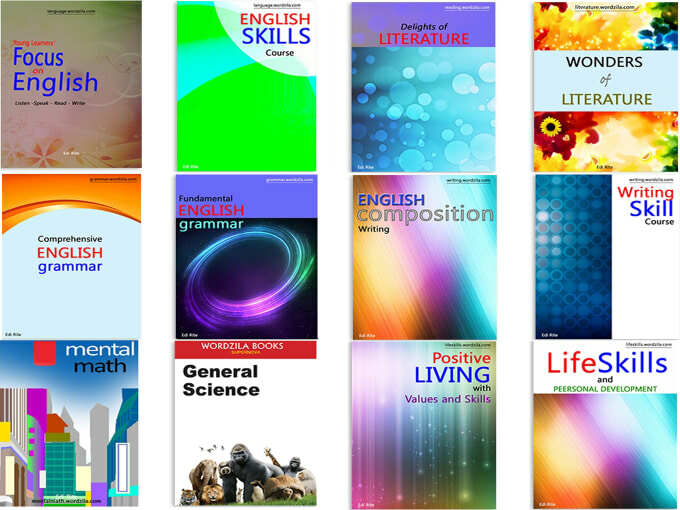 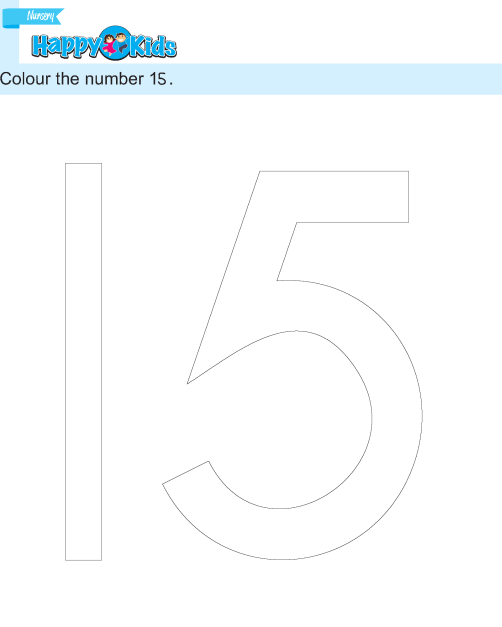 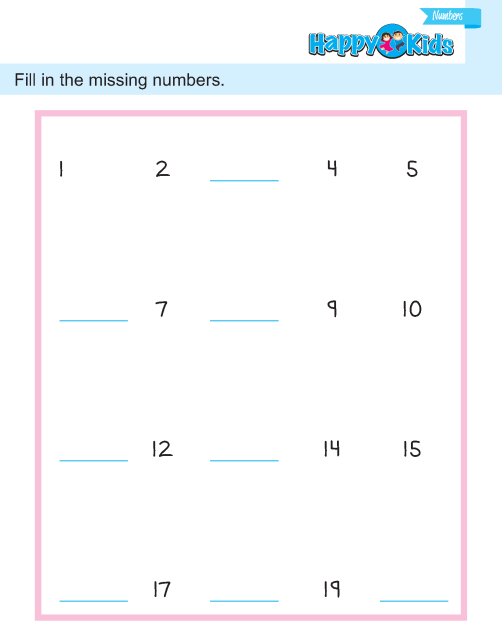 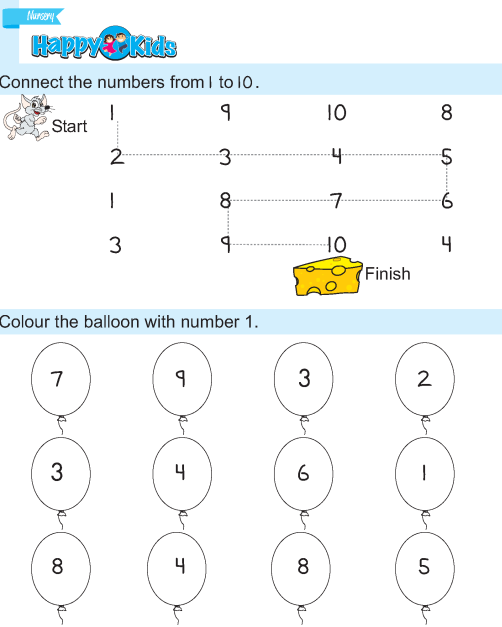 Read, trace and write numbers (1 to 10). 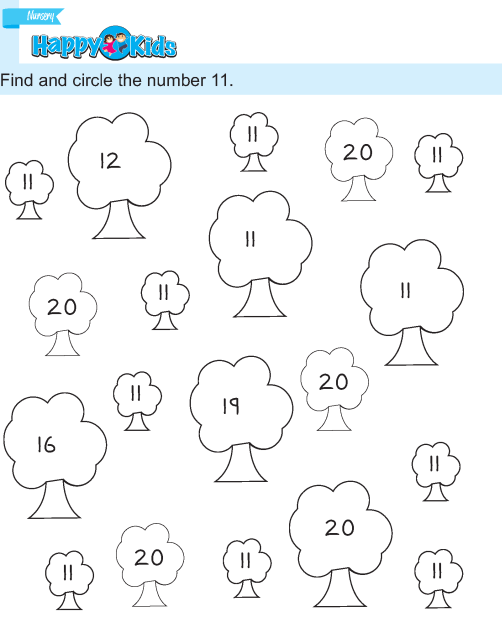 Find and circle the numbers. 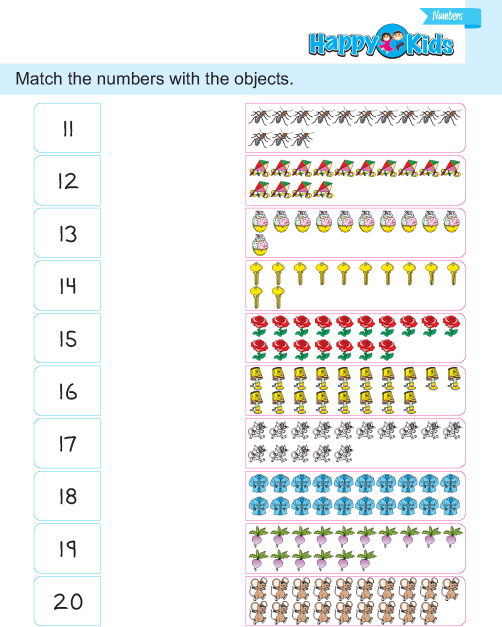 Match the numbers with the pictures. 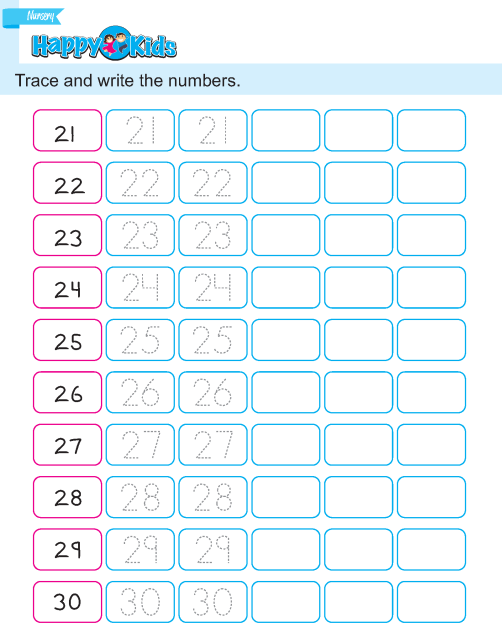 Count and write the correct number.